Workers at an ore-mining plant in Yakutia have found a rare honey-yellow diamond weighing 136 carats. The 33 by 23 millimeter gem will be handed over to the State Precious Metals and Gemstones Repository. Yakutia, a Russian republic in northeastern Russia, is one of the world’s leading diamond producers. A spokesman for the Russian Industrial Ministry said workers in a Siberian mine discovered a diamond weighing more than 136 carats. The spokesman said the large “honey-yellow” diamond is of irregular shape and has not been appraised yet. 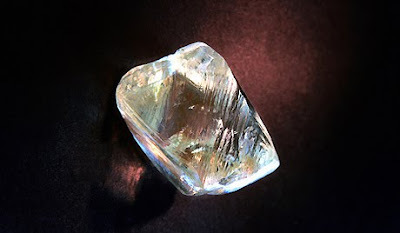 The diamond was discovered in by workers for the Udachninsky Mining Company, a subdivision of ALROSA, which mines 25% of the world’s diamonds.